How to stop lead sinking into silt bed? How can I stop my leads from plunging into the silt whenever I cast? Good Presentation in Silt Will Catch Carp! 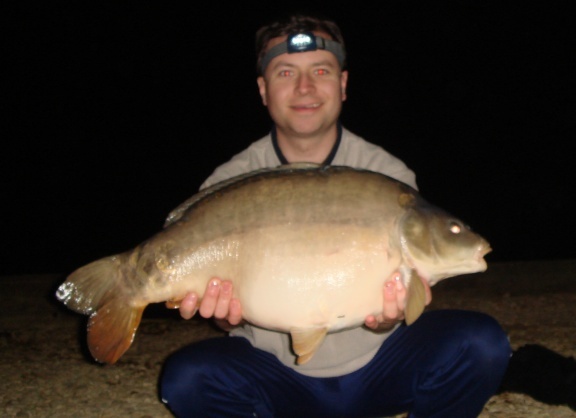 The trick is to use the right type and shape of lead set up when fishing for carp in silty waters. Generally, I start by using a swivel-type, flat, pear lead in a lead clip. I also use thick anti-tangle tubing to further limit the possibility of it pulling down into the silt or sticking in a soft clay bed. If this doesn’t cure the problem, I will usually try the same lead shape with a helicopter rig system. Helicopter set ups tend to present end tackle much better when fishing on a soft silt bottom, although not as good when fishing in soft clay as the ledger weight tends to stick in the bed rather than sink down like in silt. You should also use a lead core or another strong leader with helicopter rigs. This is to ensure it is strong enough to withstand all the pressure of the hooklink angle on the leader when playing a fish. Helicopter rig systems tend to work better when casting long distances and into soft silt. If the leads still get stuck in the lake bed, I try different lead shapes until I find one that works best. I do know from experience that the round leads are no good for casting into silt. The shape causes the surrounding silt to cover around it as it sinks down, and this makes it harder to unplug the whole rig. A good shape of leads to use are the distance style shapes. These do tend to dive into the silt easily, but they also come out just as easy so they may be the best choice of lead if all else fails. Another way to tackle this problem is to use PVA bags where all the lead, rig components and bait are inside the bag. The extra size of the whole lot will limit how deep it sinks, and usually it wont sink much into the bottom at all. Another tip is to double bag the rig and only pin prick the bag a few times so it only lets some of the air out, but not all of it. This causes the bag to become more buoyant so it’ll sink to the bottom slowly where it should lay on top of the silt nicely. However, you must prick some holes in the bag or it'll float on the surface of the water! I have also read that if you’re having problems unplugging a lead from the silt bed, then think about using large inline, flat lead set ups. I know this sounds like the wrong type of rig for silty situations, I myself thought it was crazy, but apparently it can stop the whole lead system from diving into the silt bed. I have never tried it yet, but intend to give it a go the next time I have trouble unplugging my rigs from silt or clay lakes. However, if you do try this way, it may be best to use slightly longer hooklinks, made up of mostly braid, then in case certain parts of the rig do sink into the soft bottom, you'll still have some decent bait presentation for a carp to go for!